O’Reilly is being incredibly disingenuous when he claims that he bears no responsibility for others’ actions in the killing of Dr. George Tiller on Sunday. When you tell an audience of millions over and over again that someone is an executioner, you cannot feign surprise when someone executes that person. You cannot claim to hold no responsibility for what other people do when you call for people to besiege Tiller’s clinic, as O’Reilly did in January 2008. And this was after Tiller had been shot in both arms and after his clinic had been bombed. O’Reilly knew that people wanted Tiller dead, and he knew full well that many of those people were avid viewers of his show. Still, he fanned the flames. Every time I appeared on his show, I received vitriolic and hate-filled e-mails. And if I received those messages directly, I can only imagine what type of feedback O’Reilly receives. He knows that his words incite violence. 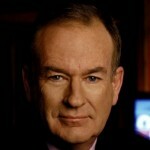 O’Reilly is tragically wrong. Words have meaning, and his words regarding Dr. Tiller have done nothing less than incite murder. No one has presented any proof that Bill O’Reilly is not telling the truth. Instead they attack the way he presents the truth. I find it hard to idolize a man who has killed one human much less sixty thousand. The excuse that a fetus under law is not human is such a shallow and transparent “dodge”. A dead or aborted fetus is a dead or aborted human. No matter how many reasons you give favoring abortion you can’t change the fact that it’s a practice that guarantees death to the unborn. Larry, do you have any idea what it’s like to be raised by someone who does not want you? Believe me, being aborted has to be better. If you are religious, as most anti-abortionists are, you have to know that being with your God in heaven because you have not sinned is much better. If you are not religious, being nowhere has to be better. There is no sadder or sorrier situation than a child being beaten down, physically or verbally. Until your mother has told you how worthless you are, maybe you shouldn’t decide these issues. Plus, as Harvey has pointed out, the health of the mother is a lot of times the issue. That said, whatever he did it was legal and his murder was murder. Bill O’reilly does have some responsibility in this, he was an instigator. But, Tom, is everyone responsible when they talk about people? Video games and TV aren’t held responsible for violence in children, when they are clearly violent. The news is not responsible for all the horrible bad guys they portray. Freedom of speech remember, O’reilly can’t be held responsible for inciting a radical murderer. What you do you are responsible for if you are a sheep or a follower. Must we ban all inciting speech because some idiots can’t think for themselves? I really hope no one I know tries to kill everyone I hate or dislike. Come on, Tom, blaming O’Reilly is giving him way too much power; he’ll love that. He like most anti-abortionists just wants to stop legal abortion. He never implied or alluded to anyone being violent — I do listen to him. Larry, the fact is that the law permits abortion within the framework established in Roe v. Wade, with additional restrictions and limitations of state law permitted under certain conditions. So, in fact, O’Reilly was not telling the truth when he called Tiller names like “executioner.” Words like “murder” and “murderer” apply only to intentional illegal killings of human beings. That’s what happened to Tiller. It’s not what he was doing in his medical practice. Tiller may have performed some late-term abortions that were questionable under Kansas law in terms of administrative and consultation requirements. However, he was tried for those misdemeanors and acquitted. As contentious as the issue of abortion may be, the answer is not violence against health care providers. The answer is to get the law changed. If you can’t do that, well, that’s democracy for you. Doris, Bill O’Reilly played a major role in inciting the violence that resulted in the murder of Tiller, plain and simple. I don’t think it should be possible to stretch freedom of speech and of the press far enough to cover the unrelenting campaign he conducted against this one man. And, in fact, it’s generally against the law to incite others to commit violent acts. Doris, there’s a difference between legal responsibility and moral responsibility. The Constitutional protection of free speech doesn’t preclude or negate moral responsibility. I may not be on top of all the news but do we even know whether Tiller’s murderer watches Bill O’Reilly? How could O’Reilly be held responsible? The spin stops here! Lisa, you’re right — we don’t know if Tiller’s murderer was directly motivated by watching Bill O’Reilly. But, O’Reilly is a mega-star to the right, and he plays a big role in setting the tone, filtering the information, and arousing the passions that define that segment of the population. This is undoubtedly where the murderer came from, and O’Reilly played a part in motivating him, even if indirectly. Hi Tom, Bloviate???!! Isn’t this what this is all about??? There are mega-stars out there that put Obama in the White house. There are “mega-stars” that put Obama in the White House? Uh…really? Even if that’s the case, what does that have to do with this particular post? Tom rightly notes that O’Reilly’s words could easily be responsible for inciting violence against a physician. In my view, Dr. George Tiller was a hero. He was performing an important medical service–late term abortions for people in medical or physical crisis. His murder is disgusting..and those who try and soft pedal his murder are also disgusting. Including Bill O’Reilly. Maybe hero is a good choice of words! Bloviate? Not even in my dictionary. I never heard Bill O’Reilly talk about him until he was dead. He did say he never said to kill or harm him in any way. He has the right to downgrade anyone for whatever he wants. If he slams someone for their part in abortion, that does not mean people should go out and kill them. That is a fanatical fringe and peoples’ opinions of them cannot be held responsible for their actions, these people are lunatics. Bill did not make them do it, I don’t think he had any moral responsibility for it at all. All politicians, when running down abortionists, could be held responsible, all priests when preaching against the evils of abortionists, all responsible? I dare to say -NOT. When I run down a certain unnamed bumbling ex-pres, do I expect people to go berzerk over my coments and am I morally responsible for their actions? Come on, this is home of free speech, and Bill is allowed his opinion, although I disagree with it.